My definition of a workflow is, steps to complete a task. That's it :o). For example, if you want to get your driving license then you follow the steps provided on the DMV's site (1-Bring documents, 2-Fill paper work, 3-Get your photo taken, 4-Pay fee). In this example, our task is to get the driving license and in order to complete this task we have to follow four steps. In SharePoint world we used to have SharePoint Designer (which we all love) to create workflows and do other stuff. Now that there is not going to be a newer version of SPD, Microsoft has provided another awesome way of creating workflows called Microsoft Flow. Its a cloud based service which lives outside the SharePoint world, can be used on a mobile phone and can interact with many services like SPO list/lib, Outlook, Azure, Salesforce, Twitter, Google Drive, Gmail and the list goes on and on. Microsoft Flow is a no-code/low-code solution and it can also interact with SharePoint on-prem. 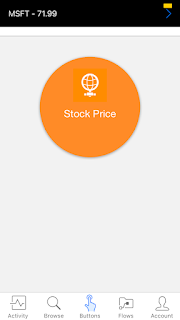 So without further due lets create a workflow which will make HTTP REST call to grab stock quote of a provided ticker....and we will be using this workflow in our iPhone. 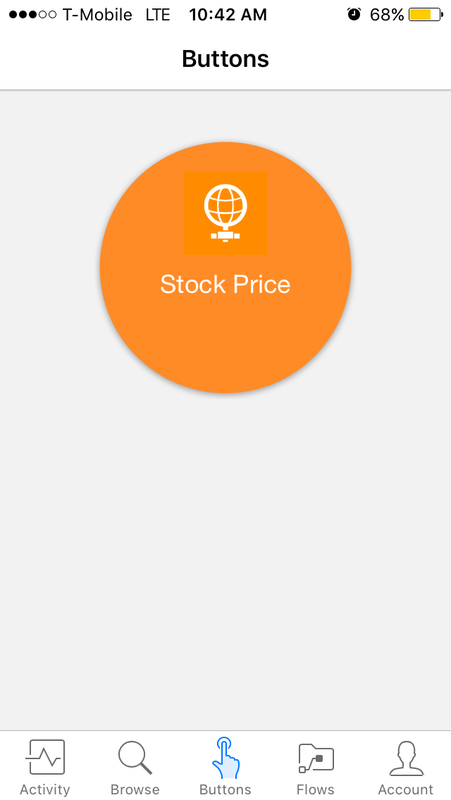 Go to Microsoft Flow, sign-in and create an empty flow "Stock Price". Now I am going to add steps to trigger the workflow manually which will make an HTTP REST call and then parse the results and show me the price in a mobile notification. 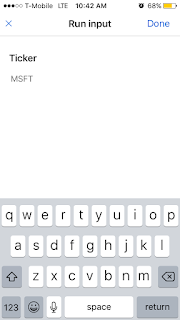 Manually trigger a workflow step adds a button on your iPhone app which takes a stock ticker input. You have to install the Flow app from the App Store in order to view it. As a result we will get JSON response. I added Compose step to strip out the special characters in the response by using a WDL(Workflow Definition Language) function: "@replace(body('HTTP'), '// ', '')". After removing the special characters I should be able to parse JSON by providing a valid schema. You can generate schema by adding your response to the blue link provided at the bottom of this step. Now lets add the notification step and add Ticker and l outputs to the Text field of this step. 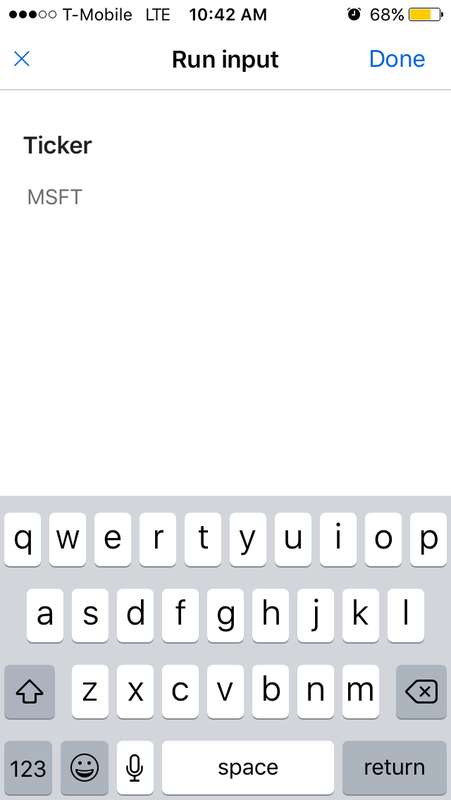 Note that notification step will be placed inside the loop automatically as JSON response can have multiple results for l.
Install the Flow app from App Store in your iPhone. Sign-in and go to the Buttons. You should be able to see all your buttons there. 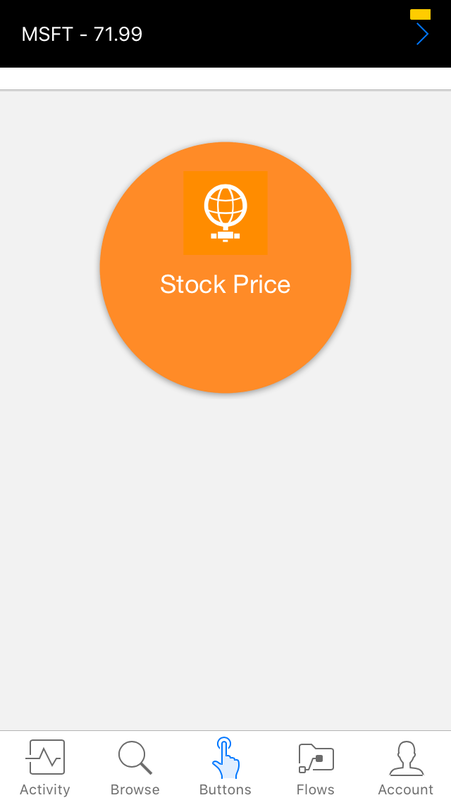 Click "Stock Price" button and provide the symbol MSFT and then hit Done. 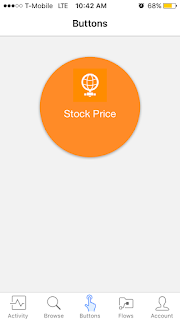 This will start the workflow and you should get the push notification with the stock ticker with the price quote in it.